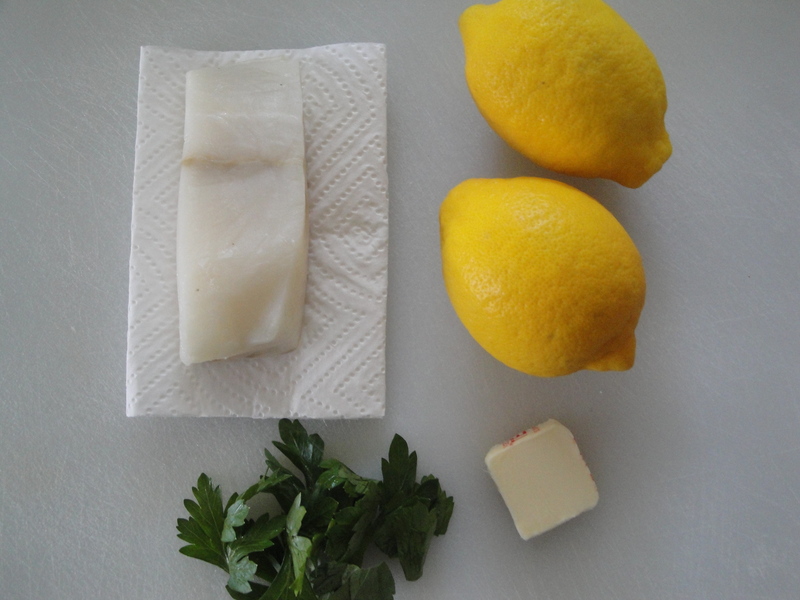 The first time I ate halibut was about five years ago in Las Vegas when my two girlfriends and I agreed to go to dinner with some guys from New York we knew who were in Vegas the same week. The restaurant of choice was a fancy high-end steakhouse in Mandalay Bay with a wall of wine and an expensive menu. As I sat down at our beautiful table, I nearly went into a panic when I looked at the menu. Not because of the prices but because of the choices. At the time, I’d recently begun eating chicken but the only chicken dish on the menu was a bone-in half-chicken, which wasn’t an option for me. I didn’t eat lobster or lamb or fois gras or bone marrow so I didn’t have many options. I was just about to settle on a sad dinner of two sides – green beans and mashed potatoes – when my friends encouraged me to try the halibut. “It’s not a fishy fish”, they said. Reluctantly, I tried it. It was one of the best meals I’ve ever had. Since then, I haven’t had halibut much because it isn’t the cheapest fish in the ocean. 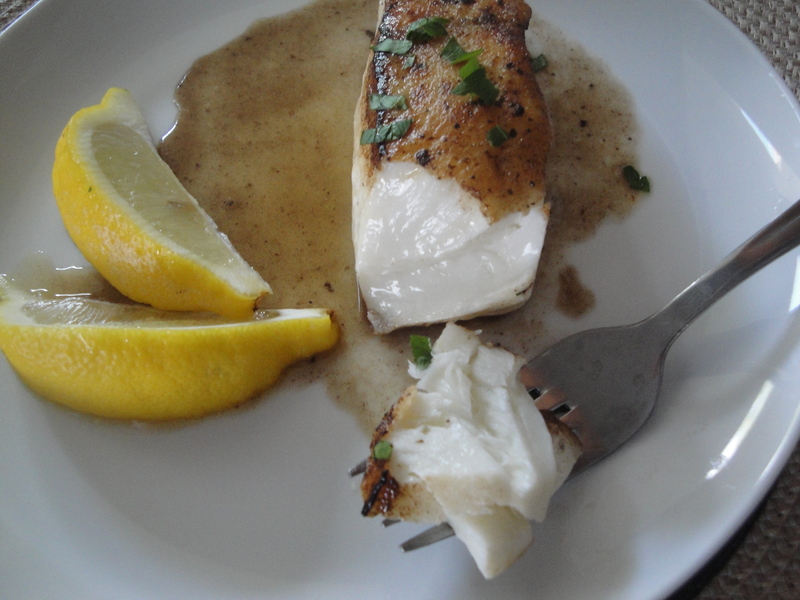 So when I saw halibut was on sale at my grocery store, I was excited to make Halibut Meunière. 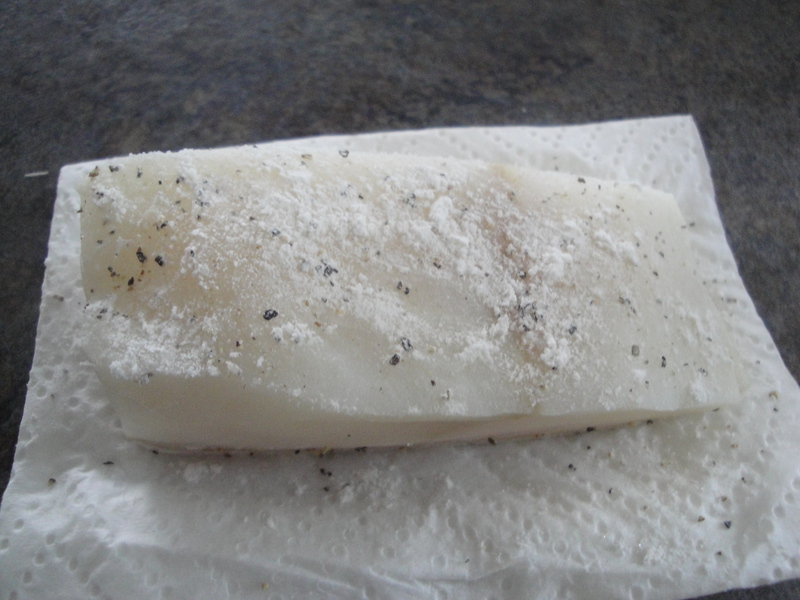 Fresh halibut is sprinkled with a little salt, pepper and flour and cooked in butter until opaque and flakey. 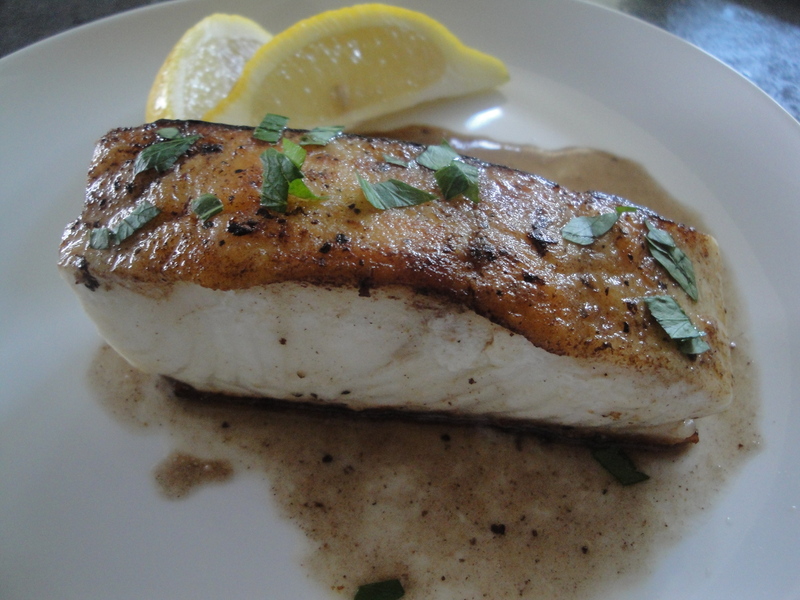 A fragrant sauce of browned butter and lemon juice is drizzled over the top along with a dusting of fresh parsley which allows the fish to be perfectly and simply complimented. Considering one of my favorite dishes as a kid was frozen breaded fish sticks smothered in melted butter, bottled lemon juice and dried parsley, this dish is a significant upgrade. Since I’m pretty sure that the dish I ate in Vegas was 3 or 4 times what it costs to make this dish, I don’t feel guilty splurging a little bit once in a while to enjoy it. Sorry, chicken, but I’ll choose halibut over you anyday. Pat fish dry, and sprinkle both sides with black pepper and 1/8 teaspoon salt. Sprinkle with flour. 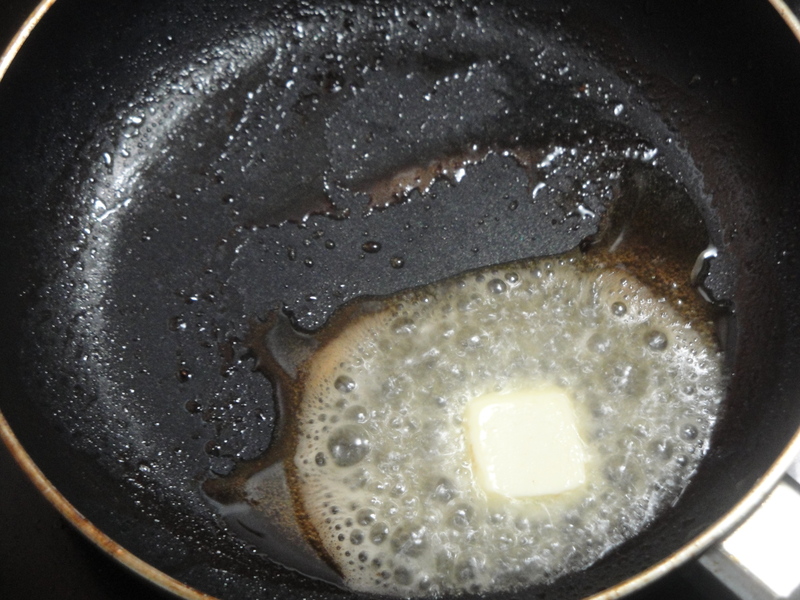 Melt 1 1/2 teaspoons butter in a large nonstick skillet over medium heat. 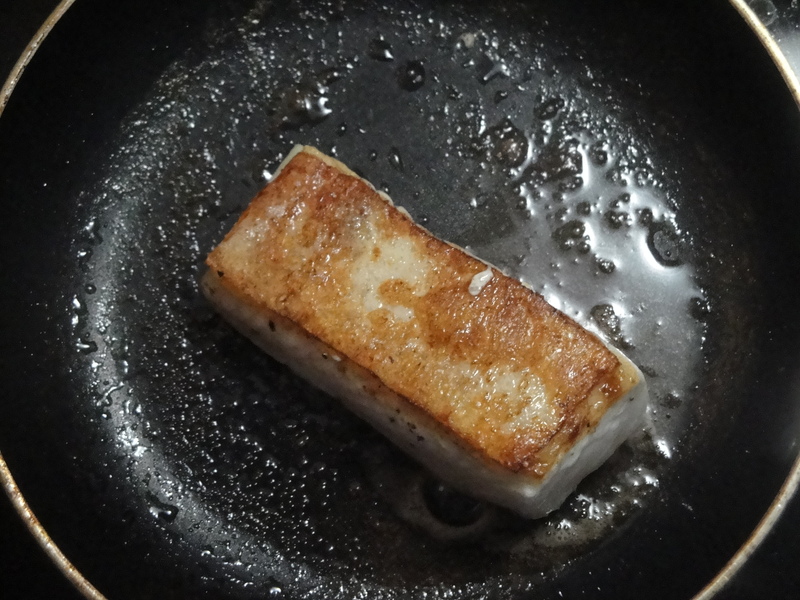 Add fish to pan, and cook 5 minutes or until lightly browned. 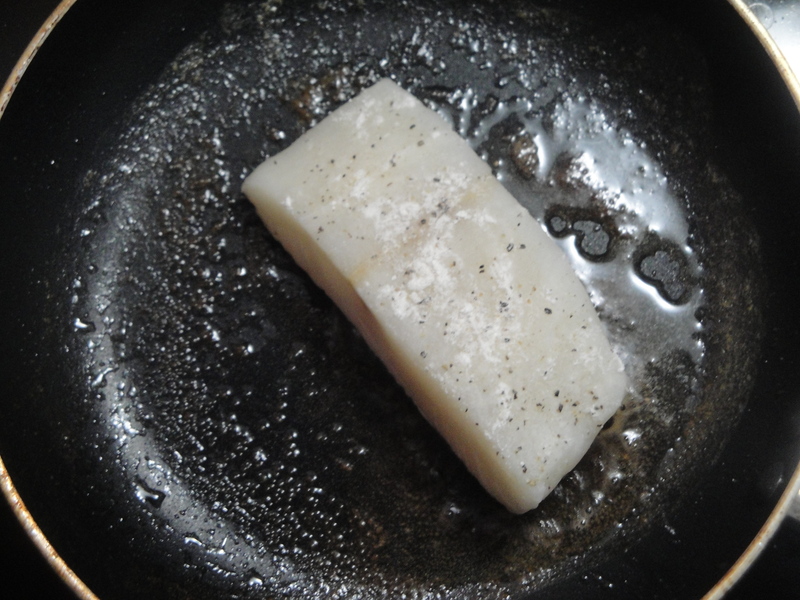 Carefully turn fish over; cook 4 minutes or until fish flakes easily when tested with a fork or until desired degree of doneness. Remove fish from pan; set aside, and keep warm. Add remaining 1 tablespoon butter to pan, and cook 1 minute or until lightly browned, swirling pan to melt butter evenly and prevent burning. 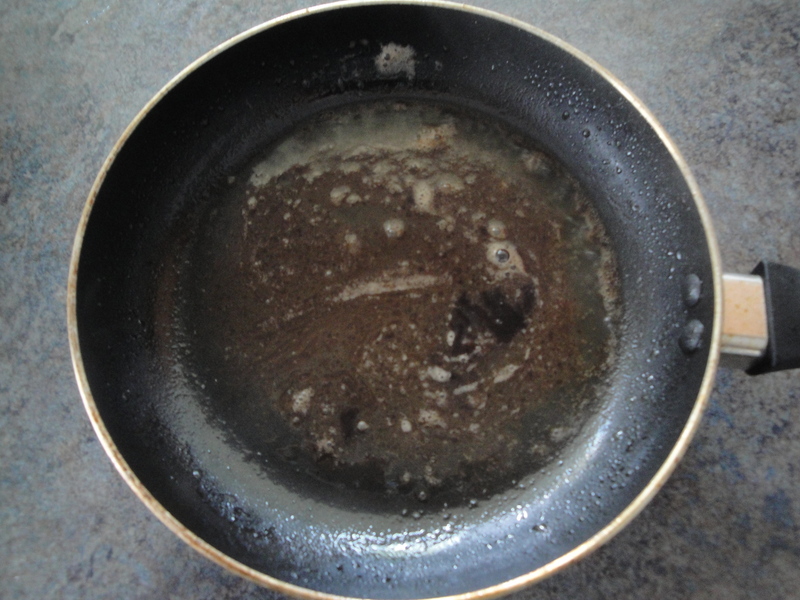 Remove pan from heat; stir in juice. Drizzle juice mixture over fish. Sprinkle fish with remaining 1/8 teaspoon salt. Sprinkle with parsley. Serve immediately.